It's Halloween once again. The celebration here in the UK is very quiet compared to America. Although of late there are more Halloween stuff in the shops, the trick or treating is not a happy affair. There are just a handful of kids going around. I still prepare sweets though, so as not to disappoint those who knock at our door. Health and safety is a big issue here. Not that it's a dangerous country. People just want to be safe. There was one Halloween when there were policemen walking about. At first I thought they were in "The Village People" gear but they turned out to be the real deal. Apparently, some old people were being harassed by kids. I make cookies around Halloween, just for my kids, again for health and safety reasons. Sad huh? For them, not for us, 'cause we've got cookies. 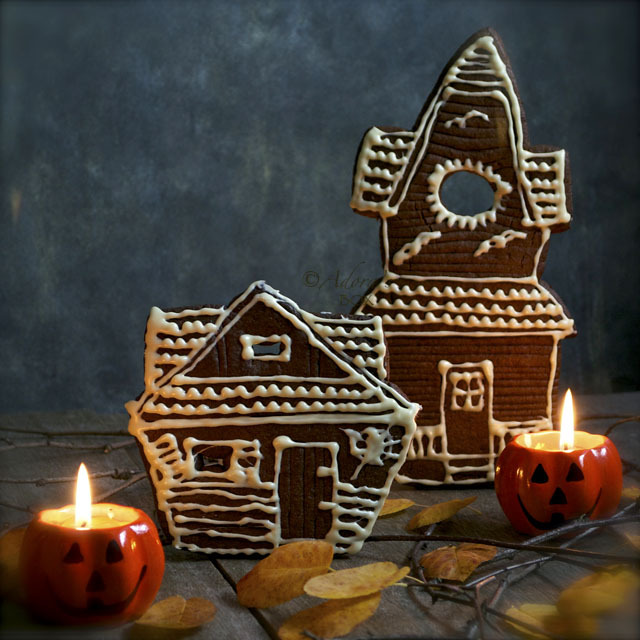 I made chocolate cookies into haunted houses. The leftover dough were stamped into bat and cat shapes. 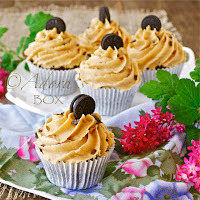 I found this recipe in About.com. It is an easy and straightforward recipe. I have cut the house shapes free hand with a small pointed knife. Make a rough sketch first. It is not that hard. The wonkier, the better. This dough is easy to stamp into shape and retains its form when baking. Very delicious, too. Tastes like brownies. I've used melted white chocolate for the icing. In a large mixing bowl, cream the butter and sugar together. Add in the egg and vanilla and beat until light and fluffy. Combine all the dry ingredients and gradually add to the creamed mixture, blending well after each addition. Chill the dough for 30 min. to an hour or until firm enough to roll. Heat the oven to 325° F/ 170° C. Roll the cookie dough between 2 pieces of baking paper and roll to 1/4" thickness. I made the houses slightly thicker so that they won't break too easily. Cut into desired shapes and bake for 8-10 minutes. Cool slightly on the baking tray, then transfer to a cooling rack to cool completely. Frost with white chocolate or any icing of your choice. Cut into pieces and melt on half power, a few minutes at a time. Take out occasionally to stir until just melted. Transfer to a piping bag with a writing nozzle. I didn't know that Halloween is more quiet over there compared to here. I think in Manila is a big event na rin. Great work of art Adora. I'm sure your kidsa re thrilled to eat a spooky sweets. awesome! galing mo! i bet they taste delicious too! thanks for sharing! The first thing I saw was the house. Man I would love to nibble on that. Then came the bats. The eyes were making them more creepy. I love the way you celebrate Halloween. I am in love with how you staged this photo, beautiful!! You are lucky you can hand out homemade treats. I don't think I've seen anyone feel safe enough to do that in the States in over 30 years. Very sad. That house is ADORAble.....sorry, I couldn't help myself! :) No but really, I just pinned it, so cute! Buzz! This is amazingly beautiful! Love the effort u put into making this haunted house. Happy Halloween! THAT IS SO CUTE! just love how simple and yet so fancy it looks. I'm terrible at piping, so that cookie cutter is perfect! It would make my messy piping look totally intentional! You are right that it's a big thing here in the States. We are stocking up with lots of candies and treats. Wow, very creative with the settings, Adora! 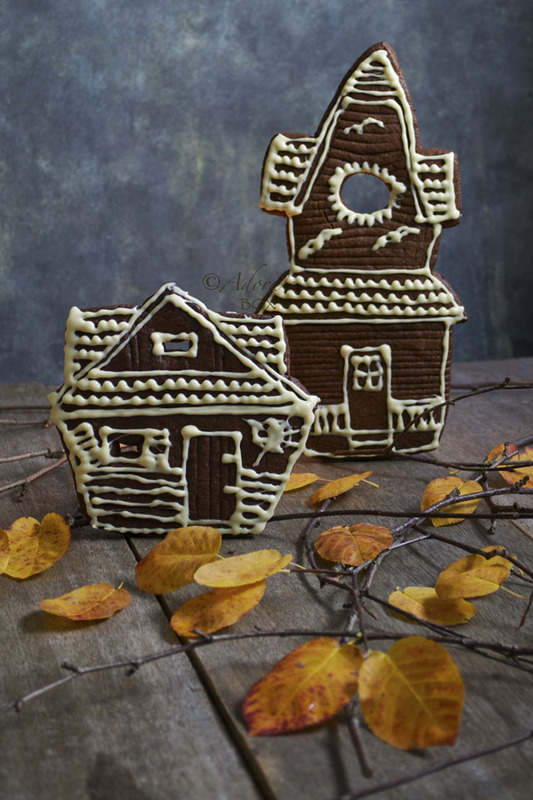 What a cool post..and I love what you did with these cookies..adorable!! These are so cute. I love the house and the bats... I eat them all up lickety split. 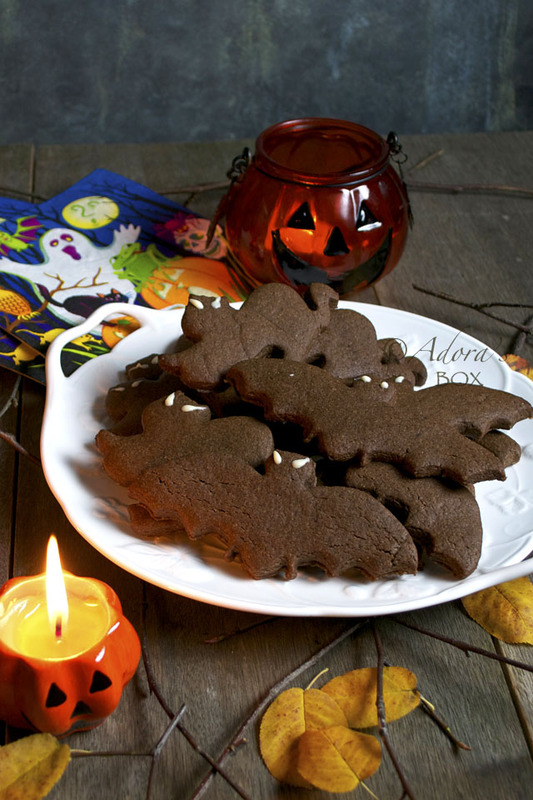 These are really cool cookies Adora! It must have been nerve wrecking to set this photo shoot because you don't want to break the cookies right before shooting! I would be super nervous... you did such a great job and I love this cover photo! 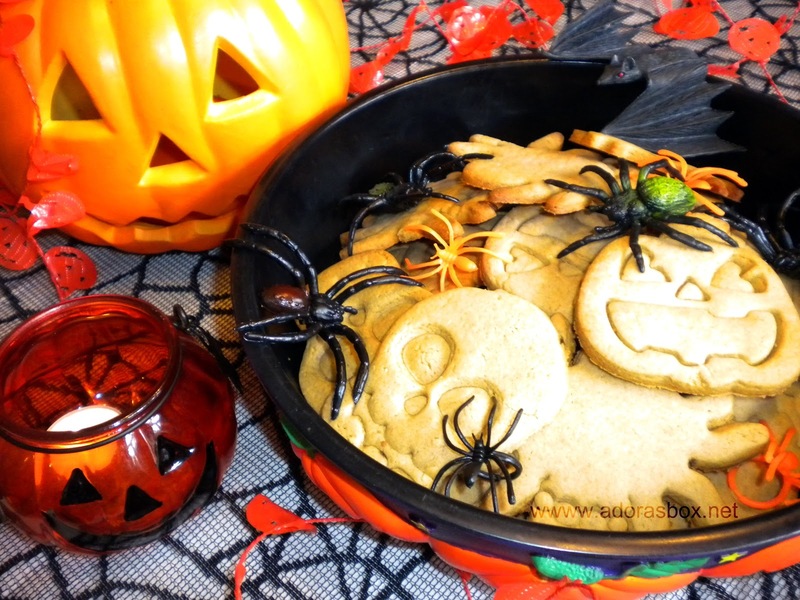 These cookies are stunning! What a great job you did on the spooky house! Wow! Adora u did on the spooky house! nice cookies. Happy Halloween.